Description Scanned as B & W. Appears to have been torn out of a photo album. Left to right: Robert (Rup), Nathan, Edward B. (Ned), & Merrill B. (Bill). 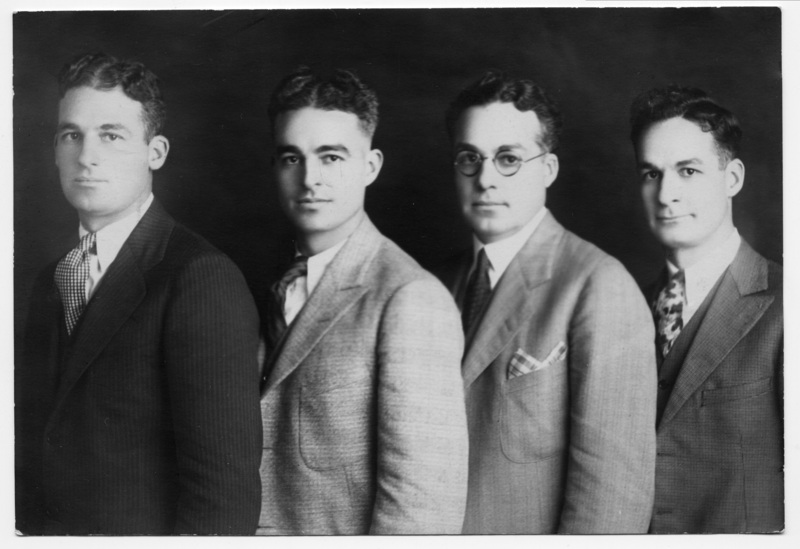 Robert Twining, Nathan Farragut Twining, Edward Twining, Merrill Twining. Nathan Twining graduated West Point Academy class of 1921.